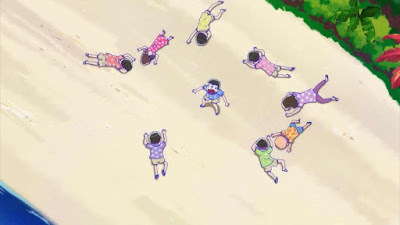 Some well earned breaks turn into holidays from hell for our anime chums as the cast of Mr Osomatsu become stranded on a desert island and Pop Team Epic solve a murder mystery at a country retreat. Meanwhile both Sakura and Chise take a snooze, the Working Buddies enjoy some videos and Classicaloid enters the home stretch. Pack your bags and get on board!